Passion led me from wistful ballads to anguished opera, then to the poetry and songs of medieval troubadours, those somewhat sufi Christians whose ethos of romantic longing for a distant beloved were expressed in the strange irresistible twangs of 'langue d'Oc'. The more I listened to troubador music with its ethos of amorous longing, the more of those eastern resonances I hungered for. I followed the trial south from Cathar country across the Pyrenees towards the urgent sorrows and heartache of guttural flamenco, sobbing to Arabic and Kathak rhythms. For weeks I played nothing except Harmonia Mundi's 'Musique Arabo-Andalouse', familiarity increasing pleasure. Anthologies are the best way to travel and that extract comes from Philippa Scott's contribution to the rich and rewarding anthology Meetings with Remarkable Muslims. 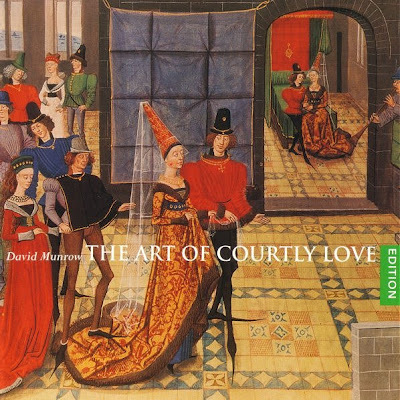 Philippa Scott shares with me many roads less travelled: David Munrow, whose survey of the music of the troubadors The Art of Courtly Love is seen above, has appeared here many times, while Sufism is a recurring theme On An Overgrown Path. Cathar country was visited by me in A vintage year for blasphemy and heresy, and that pioneering twentieth-century sufi Christian Thomas Merton was born in Prades in Cathar country. Recently I walked through Languedoc in the footsteps of Alma Mahler. This journey took me across the foothills of the Pyrenees into Catalonia where Salvador Dail created his anguished and forgotten Cathar opera Être Dieu, and on into Arabo-Andalouse - Moorish Spain. Harmonia Mundi's Musique Arabo-Andalouse - which has never been out of the catalogue since its 1976 release - was recorded by Gregorio Paniagua's Atrium Musicae Madrid and he featured in Multiculturalism beyond big music.